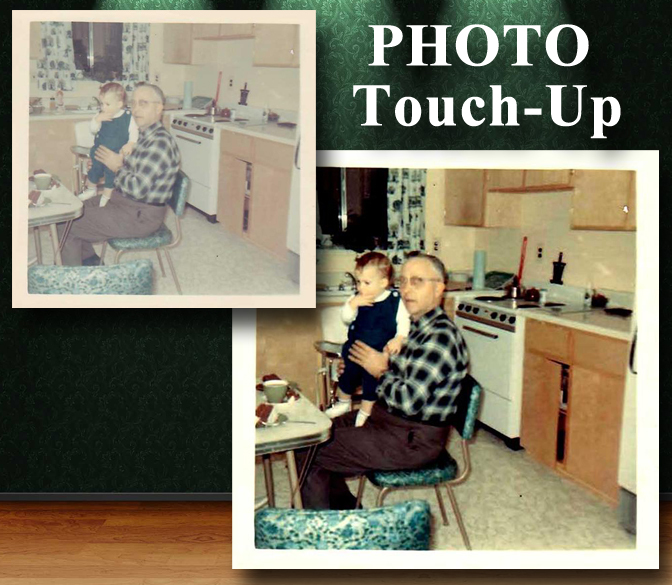 Photo Work can be anything from brightening a dark image, removing the red-eye or cropping, to recolorizing faded images or those that have turned red over time. 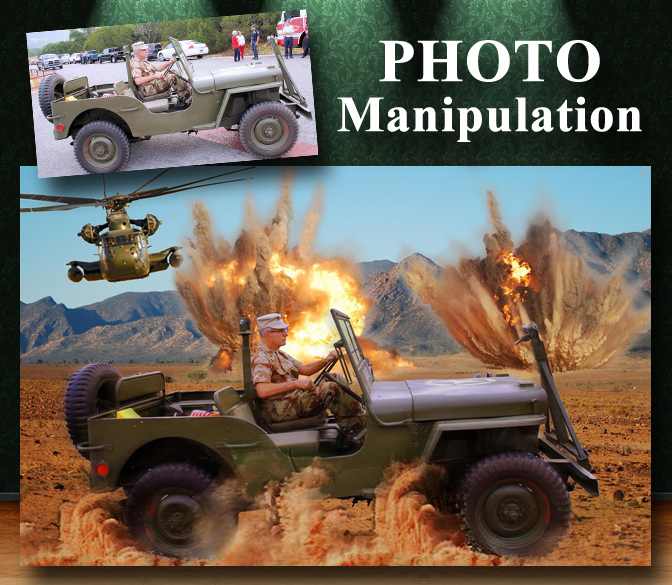 I can clean up stains, tears and issues on images and I can do some extreme things; like complete photo manipulation: changing 2 or more photos to create one. Take a look at my photo galleries of each to see what I can do for your photos. A professional photo takes time and talent. Say you are a custom home builder and you want to add a new house to your portfolio. You can hire a professional photographer to come in. Setup their equipment and then wait for the prime lighting of the day. Wait for those clouds to pass by, for the sun to be in the exact right position. Photographers can be quite costly and they may not have the eye you want. Why not take the picture yourself? Let me work on the coloring. Remove the shadows. Erase the tools by the front door. Green up the grass. Fill in those bare spots. Insert a blue sky where it was grey. Erase the power lines cutting into the picture. Add a bird flying in the sky. Place a few flowers. Erase the reflection of your truck from the window. Or, I can even place the yard sign for you in the front yard letting everyone know it’s for sale. Yes – I can do that, and so much more. Why don’t you hire a graphic designer for your next project. I can make your photos shine. I can even manipulate them to become more than anyone could imagine. Then I can add them to your website into the web header, the front page or the photo gallery. If you want it done, hire me to get it done.